Bre for Petite Bags brings to mind a smoldering sunset over the African savannah. 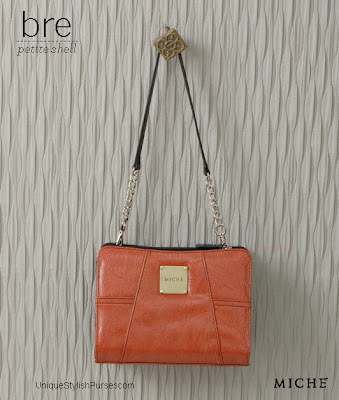 The woman who carries Miche's Bre Bag is not afraid to make a bold statement, yet insists on looking classy always. Bre features ultra-soft, lightly-textured faux leather with black contrasting stitching and antique brass hardware.